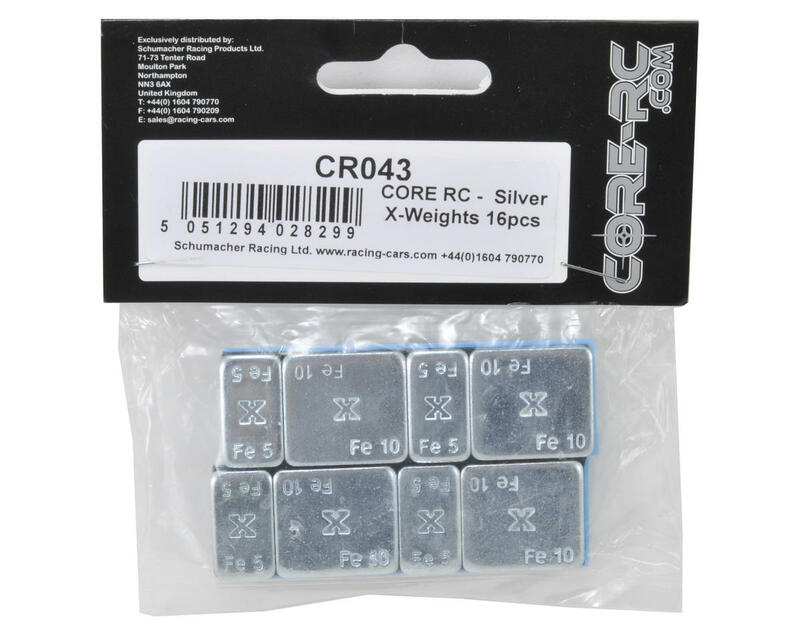 This is a Core-RC X-Weight Set. This set includes two Zinc weight strips, with each strip having eight weight pieces and self adhesive mounting tape on the back. 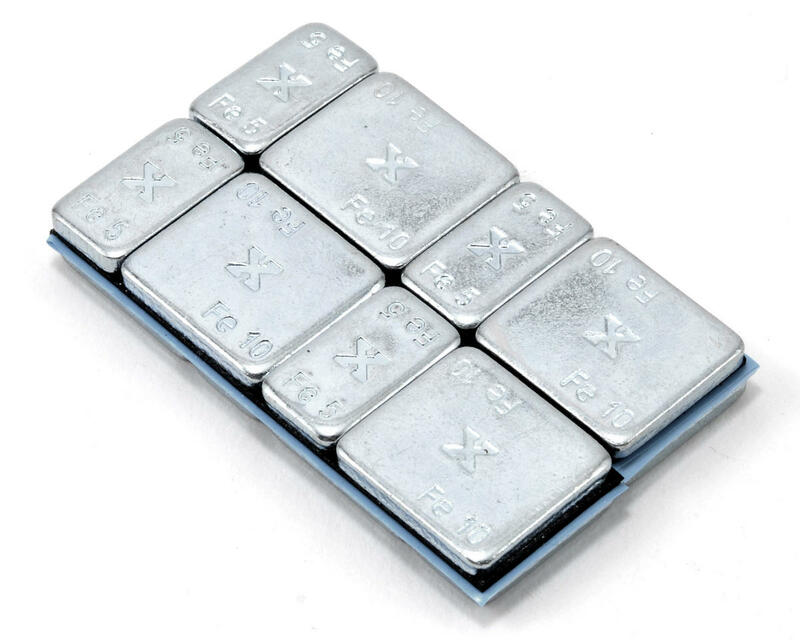 These weights can be very useful when balancing the weight distribution of your vehicle or for when replacing lost weight when switching to LiPo battery packs.